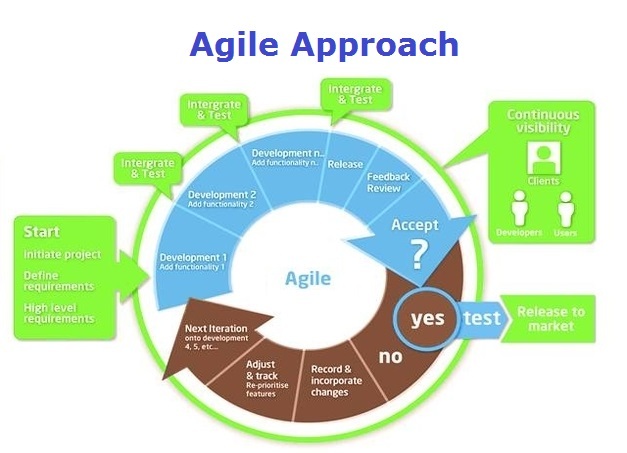 What is agile? Agile is an iterative approach to deliver a product (often software) incrementally instead of trying to deliver it all at once. 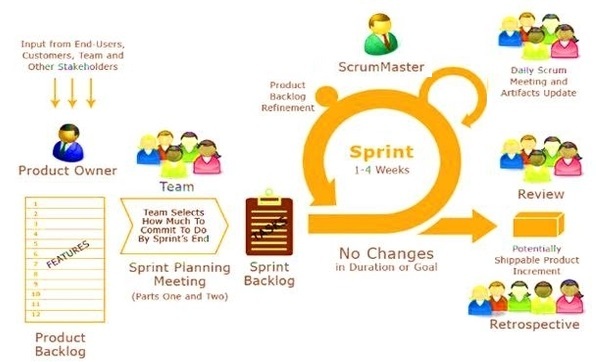 It breaks projects into manageable bits of user functionality called user stories, prioritizes them, and then deliver them in short cycles called sprints (or iteration, usually running 1-4 weeks). The list of the outstanding user stories to be developed is called a backlog. 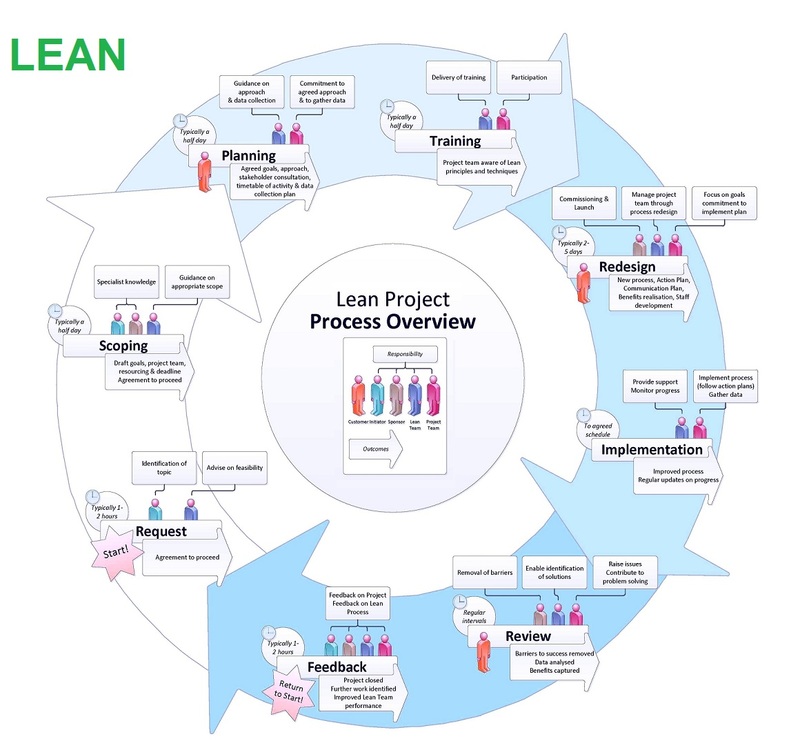 Agile is different from the regular lengthy waterfall approach projects that try to get all the requirements upfront and complete the project at once. Critical Path – The below diagram depicts the critical path for a given project. 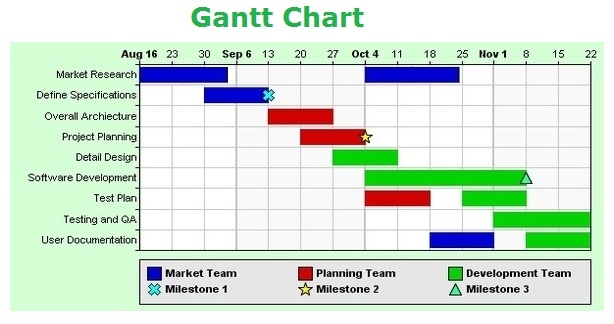 Critical path analysis is a widely-used project management tool for scheduling projects and allows to see which actions impact the overall schedule. 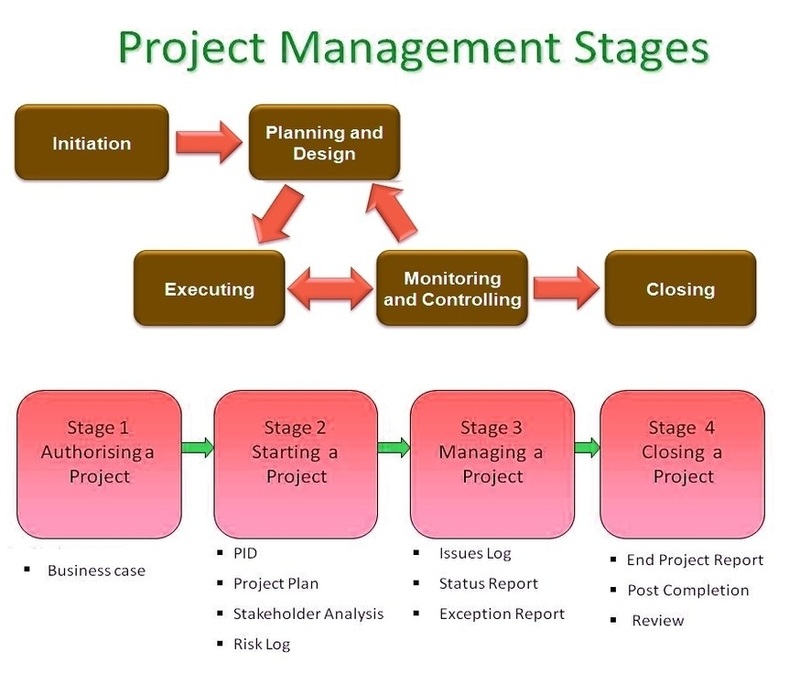 In project management, a critical path is the sequence of project activities which show the longest overall duration of the project and thus the shortest time possible to finish it. 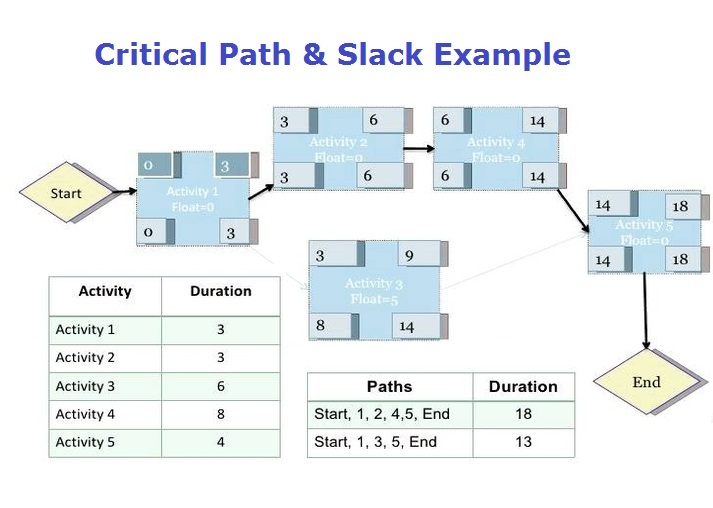 Critical path activities have 0 slack (or float), i.e. one cannot be late on any of these activities without delaying the whole project. A simple example of the critical path: imagine you need to take your car to a mechanic and the repair takes 2 hours. In those 2 hours, you need to walk to the nearby store and purchase some gifts, which should take you no more than an hour. Afterwards you are going to a party and you don’t want to be late to. Mechanic’s work is on the critical path, i.e. if it takes more than 2 hours, you are going to be late to the party. Gift shopping is not on the critical path, even though it is still required. There is slack of about 1 hour because you are waiting for the mechanic. The example below also shows a critical path with black arrows and non-critical path with light blue arrows. Duration of each activity and individual paths is also shown on the diagram. 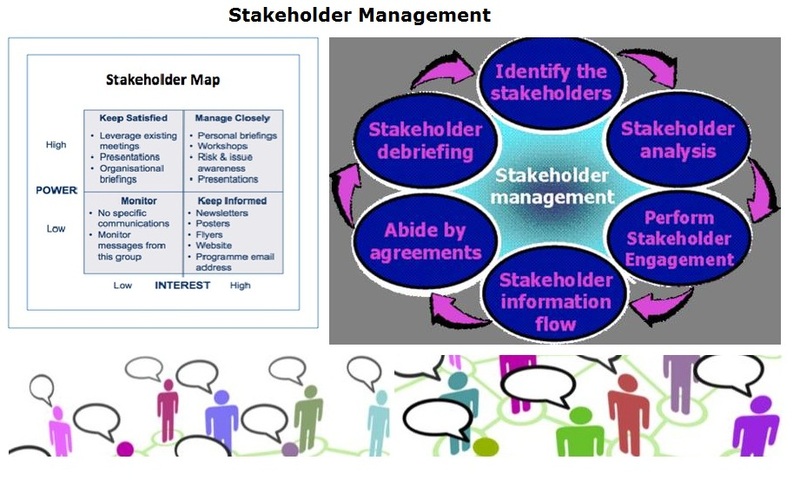 Stakeholder Management Analysis (or a Stakeholder Map) is a framework for identifying stakeholders and understanding their needs. This is key to change management, project management and day-to-day activities of the business. 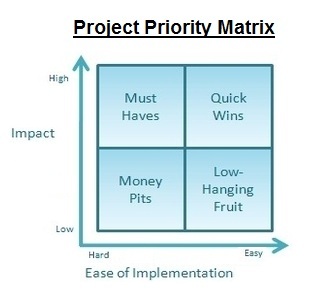 Project Priority Matrix – Project Priority Matrix Analysis – Project Priority Matrix Framework – Business are often facing a number of competing projects. Prioritizing between projects becomes essential in order to maximize benefits for a company. A project priority matrix is a great management tool to selecting those engagements that carry the highest benefits to an organization. The matrix divides all projects by the ease of implementation and their impact. Highest impact and the easiest to implement projects should be completed first. The projects are divided between quick wins, must haves, low hanging fruit and money pits. See the priority matrix below.